Please click the panel's titles for further details including nominated chairs, discussants, and paper presenters. Presenters: Dr. Mohammad Abu Ghazleh, Prof. Dr. Rodolfo Ragionieri, Prof. Dr. Naveed Sheikh, Jan Wilkens, and Dr. Carimo Mohomed. ***Expresses that he may not be able to attend the conference. The section chair is currently looking for a replacement. Presenters: Dr. Mohammad Mohibul Haque, Nassef Manabilang Adiong, Delmus Puneri Salim, Karim Khashaba**, and Prof. Dr. Raffaele Mauriello. Presenters: Tauseef Ahmad Parray, Sadia Jabeen, Prof. Dr. Muhammad Zia Ul Haq, Rizwan Faiz Muhammad, Tahira Ifraq, and Prof. Dr. Abdul Qaddus Suhaib. Presenters: Gregorio Bettiza, Filippo Dionigi, Prof. Dr. Turan Kayaoglu, Prof. Dr. Julien Pelissier, Asst. Prof. Dr. Wojciech Jerzy Grabowski, Ph.D., and Amjad Saleem. Presenters: Prof. Dr. Maria do Céu de Pinho Ferreira Pinto, Dr. Haila Al-Mekaimi**, Prof. Dr. Katerina Dalacoura, Assoc. Dr. Rolin Mainuddin, and Dr. Imène Ajala. Presenters: Galip Dalay, Gorkem Altinors, Gökhan Duman, Zenon Tziarras, and Prof. Dr. İştar Gözaydın. Presenters: Prof. Dr. Can Zeyrek, Asst. Prof. Dr. Gül Ceylan Tok, Ana Belén Soage**, Asst. Prof. Dr. Fikret Birdişli, and Didem Doğanyılmaz***. Presenters: Prof. Dr. Stefan Borg, Prof. Dr. Mahmoud Hegazy Bassal, Tobias Berger, and Zahid Latif. **In case Prof. Dr. Pelissier may not be able to attend, Dr. Filippo Dionigi will be the new chair. Presenters: Seyed Hossein Zarhani, Prof. Dr. Rania Mohamed Taher Abdul-Wahab, Dr. Lili Yulyadi Arnakim, and Ridwan Landasan. 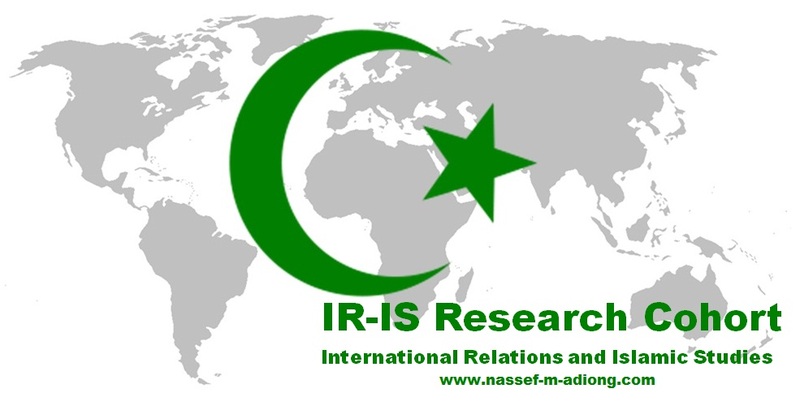 I humbly request to program directors and organizers to separate or place panels with asterisk (TC18, TC29, SB17, and SB18) because of conflicting schedules, same person as chair and discussant, and that every participant of the section will have the opportunity to attend each panel relating to IR and Islam. *Schedules are in conflict, e.g., Panel 1 and 3 have the same person as chair and discussant. Request to be separated or placed in different time and/or day. Nota bene: Please be advised that the acceptance letters will be distributed by the organizers of the conference. For administrative issues or queries regarding registration, program, etc., please email <europeanisa@gmail.com>. For letters for visa application and inquiries regarding accommodation, please contact <karolina.turlej@globalwings.pl>. There might still be changes depending on the decision(s) of the organizers/program directors for the final program. Registration will start by April 2013. 1. Can you help me find a hotel room? Please consult Global Wings at karolina.turlej@globalwings.pl for queries concerning accommodation, travel, visa and other similar issues. 2. How can I get a letter of acceptance for visa application purposes? If you need a letter of invitation from EISA, please contact Global Wings, as soon as possible and they will be happy to assist you. Please note, EISA does not issue letters of participation or confirmation of attendance onsite. 3. How many times can I appear in the programme? The maximum number of appearances is three times (as paper-giver, discussant, chair). 4. What is the registration deadline? Monday 15 May 2013. 5. What happens if I do not register by the deadline? Participants who fail to register by will be presumed to have WITHDRAWN their participation and will NOT appear in the programme. The full list of dates and deadlines can be found by clicking on ‘Dates and Deadlines’ in the sidebar to the main webpage. 7. Working language? The working language of the conference is English. 1. Can I expect to be financially supported to chair a section? Unfortunately, the 8th Pan-European Conference is unable to provide financial support for section chairs. They are however, invited to a Section chairs’ dinner organised by SGIR the evening before the conference begins. 2. When will the room information be available? In the final programme which is available when you arrive at registration in Warsaw. If there are any specific requests for rooms, please let us know. 3. Would there be A/V facilities available? A/V facilities, including a laptop will be available in all rooms. Please advise the participants to bring their presentations on a USB stick. 4. What should I do if the section I convene undergoes changes after the publication of the final programme in July 2013? Please inform the programme assistant (see the top of this page for contact details) as soon as possible. The amendments will be inserted into the hard copy of the conference programme on the morning of the conference. 1. Can I expect to be financially supported to attend the conference? Unfortunately, the 8th Pan-European Conference is unable to provide financial support for anybody attending or presenting at the conference. 2. Is there any deadline for the completion of the papers? In principle, this is to be decided by the respective section convenors. However, an online paper room is planned to open in early July 2013. Papers should be there latest mid-August 2013. Please take the work conditions of your discussant into consideration: the sooner your paper is available, the better. 3. In what format shall I upload my paper in the online paper room? The paper room is a PDF only room. 4. Will my name still be listed for a paper that I cannot present but at least one of my co-authors can? Yes, but please get in touch with us beforehand. 5. When will the room where I present be made known? In the final programme which is available when you arrive at registration in Warsaw. 6. Would there be A/V facilities available? A/V facilities, including a laptop will be available in all rooms. Please bring your presentations on a USB stick. 7. In case I have to cancel my participation, what do I do? Please let us know immediately! No-shows are an annoyance to all conferences. 8. How many times can I appear in the programme? The maximum number of appearances is three times (as paper-giver, discussant, chair). 9. When is the pre-registration deadline? 10. What happens if I do not register by the deadline? Participants who fail to register by the deadline of Monday 15 May 2013 will be presumed to have WITHDRAWN their participation and will NOT appear in the programme. The full list of dates and deadlines can be found by clicking on ‘Dates and Deadlines’ in the sidebar to the main webpage. 1. May I attend the conference without submitting a paper or panel proposal? You are most welcome to register, to attend and to enrich the discussion. For issues regarding the conference site, accommodation, travel, visa, please contact Global Wings at karolina.turlej@globalwings.pl. For issues related to the conference programme, please e-mail programme chairs’ assistant at europeanisa@gmail.com.